Far from just making hats for TF2, new voiceover Easter eggs for Dota 2 and procrastinating from the gargantuan task of developing Half Life 3, Valve are also making Counter Strike: Global Offensive, and it’s getting really rather close to being released now. The 21st of August, to be exact, which is only 16 days away. That’s under three weeks! I aced Calendar Studies at school. 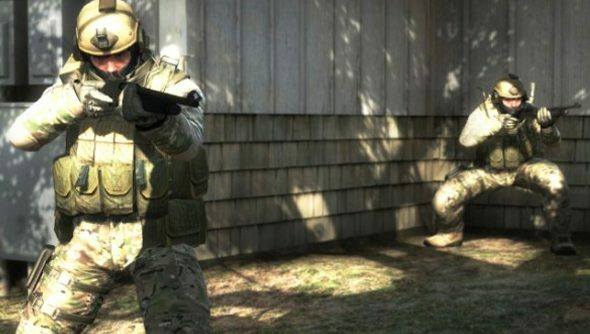 And ahead of that big release, there’s a big update headed the game’s way that will ‘have a ton of changes’, according to the official CS:GO twitter feed. The biggest of these will be to the way the game handles, specifically ‘movement adjustments’, which probably isn’t limited just to the WASD values, but also mouse speed, responsiveness and all that jazz. There’s already been a lot of controversy about the way that the game’s guns handle, with the kickback of the M4 being a particular point of discussion, but the fact that all these changes are being made in light of fan feedback on the game is always a good sign. Besides, CS:GO is Valve’s attempt at making an incredible Esports friendly version of Counter-Strike, not least one that can be played on consoles, so they’re going to be paying extra attention to the smallest details, so that everything is pitch perfect going into release. The game will be $15 when it’s released, although we don’t know how much that’ll be in pounds just yet.